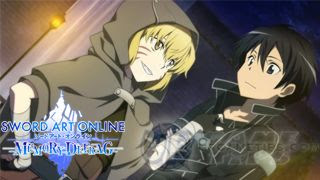 Hello, SAO:MD gamers, we will now post all website changes here for better accessibility. Changelogs and updates like new characters/weapons/armors/accessories, character tier changes, new guides, and more. Please note that testing and data gathering will take some time, so it might take a while before we can post new updates like new characters. - Note: For "Revival" banners check the tier lists for existing reviews (will update if necessary). - Added "Catnap on a Starry Night" characters under Burst DPS Ranking and Overall Rankings. Added new weapons ~ stats and info. - 5* Administrator [Seductress] under Burst DPS Ranking and Overall Rankings. - 6* Administrator [Seductress] under Burst DPS Ranking and Overall Rankings. - Asuna [Captured Princess] under Burst DPS Ranking and Overall Rankings. - Kirito [Gilded Hero] under Burst DPS Ranking and Overall Rankings. - Added "Sweet Happy Dreams" characters under Burst DPS Ranking (respective elements) and Overall Rankings. - Added new quick guide info for Charge Skill. - Added "Swordsman in School Uniform" Sinon & Rain under Burst DPS Ranking (respective elements) and Overall Rankings. Added new armor, acc, and weapons ~ stats and info. - Added Anime Climax Special Scout: Alice [Breaking the Seal] under Burst DPS Ranking and Overall Rankings. - Added "Swordsman in School Uniform" characters under Burst DPS Ranking and Overall Rankings. Added new weapons ~ stats and info. - Added 5* Medal Scout: Philia [Peach Blossom in Full Glory] under Burst DPS Ranking and Overall Rankings. - Added 6* Medal Scout: Philia [Peach Blossom in Full Glory] under Burst DPS Ranking and Overall Rankings. - Added 6* The Vernal Memory of Uniform under Burst DPS Ranking and Overall Rankings. - Added new The Vernal Memory of Uniform weapons ~ stats and info. - Added "Blades Beyond Time and Space" characters under Burst DPS Ranking and Overall Rankings. - Added "Blades Beyond Time and Space" weapons ~ stats and info. - Added new armors ~ stats and info. - Added "Peach Blossom Doll Party" characters under Burst DPS Ranking and Overall Rankings. Recommendation: Suguha > Alice > Asuna. - Added "Peach Blossom Doll Party weapons ~ stats and info. - Added new armor, accessory and other weapons ~ stats and info. - Added "A Smile For You" characters under Burst DPS Ranking and Overall Rankings. - Added "A Smile For You" weapons ~ stats and info. - Added Reawakened Memories upgraded characters under Burst DPS Ranking and Overall Rankings. - Added Reawakened Memories weapons ~ stats and info. - Added Lured Fairies in the Netherworld characters under Burst DPS Ranking and Overall Rankings. - Added Lured Fairies in the Netherworld weapons ~ stats and info. - Added 5* Strea [Melting in the Mouth] under Burst DPS Ranking and Overall Rankings. - Added 6* Strea [Melting in the Mouth] under Burst DPS Ranking and Overall Rankings. - Added Strong Will to Go Beyond characters under Burst DPS Ranking (respective element and Overall Rankings. - Added Strong Will to Go Beyond weapons ~ stats and info. - Added Eternal Singing Voice characters under Burst DPS Ranking and Overall Rankings. - Added Eternal Singing Voice weapons ~ stats and info. - Added Alice [Noble Integrity Knight] under Burst DPS Ranking and Overall Rankings. - Added Sankishin 6* characters under Burst DPS Ranking (respective element) and Overall Rankings. - Added Sankishin weapons ~ stats and info. - Added A New World Bonding characters under Burst DPS Ranking and Overall Rankings. - Added Lisbeth under Burst DPS Ranking and Overall Rankings. - Added new weapons, armor and accessory ~ stats and info. - Added 5* Ticket Scout Sortiliena under Burst DPS Ranking and Overall Rankings. - Added 6* Ticket Scout Sortiliena under Burst DPS Ranking and Overall Rankings. - 6* The Twist of Fate characters under Burst DPS Ranking (respective element) and Overall Rankings. - Added The Twist of Fate weapons ~ stats and info. Added new R5 Lance. - Added 6* My Heart's Snowfall characters under Burst DPS Ranking and Overall Rankings. - Added My Heart's Snowfall +1 weapons ~ stats and info. - Added Christmas Messengers characters under Burst DPS Ranking and Overall Rankings. - Added 5* LLENN [Santa Surprise] under Burst DPS Ranking and Overall Rankings. - Added 5* Fukaziroh [Parachute Reindeer] under Burst DPS Ranking and Overall Rankings. - Added 6* LLENN [Santa Surprise] under Burst DPS Ranking and Overall Rankings. - Added 6* Fukaziroh [Parachute Reindeer] under Burst DPS Ranking and Overall Rankings. - Added Pure Hearted Novice Trainee characters under Burst DPS Ranking (respective element) and Overall Rankings. - Added new SSS Rank for Overall and Burst DPS Tier Lists. - Note: We added a new Tier (vs strong element): SS1 Rank is stronger than SSS Rank. - Added new farmable armor and accessory ~ stats and info. Added new weapons. - Added Medal Scout 6* Argo [Shokan Ninjutsu] under Burst DPS Ranking and Overall Rankings. - 6* Tales of Mash Up characters under Burst DPS Ranking (respective element) and Overall Rankings. - Added new farmable Holy Element armor and accessory ~ stats and info. - Added new weapons ~ stats and info. - Added The Snowy Gunners under Burst DPS Ranking and Overall Rankings. - 4* Sinon [Flowering Valkyrie] under Burst DPS Ranking and Overall Rankings. - 5* Sinon [Flowering Valkyrie] under Burst DPS Ranking and Overall Rankings. - Added Glowing Skin in Hazy Moonlight characters under Burst DPS Ranking and Overall Rankings. Recommendation: Asuna for RE, Suguha for PvE. - Added new farmable armor and accessory + new Water Element weapons scout. - Added Medal Scout 5* Argo [Shokan Ninjutsu] under Burst DPS Ranking and Overall Rankings. - Added new R4 and R5 weapons ~ stats and info. - Added new R4 and R5 armors and accs ~ stats and info. - Added Gale Blade Characters under Burst DPS Ranking and Overall Rankings. Recommendation: Eugeo > Alice. - Bewitching Fatuous Fire banner scout under Burst DPS Ranking and Overall Rankings. - Added new Fire Element weapons, armor and acc ~ stats and info. - 6* Asuna [Unrestrained Emotion] under Burst DPS Ranking and Overall Rankings. Highly Recommended to get! - 6* Kirito [Knights of the Blood] under Burst DPS Ranking and Overall Rankings. - Added new Holy Element farmable armor and accessory ~ stats and info. - Added Wedding Anniversary weapons ~ stats and info. - Added 6* Kirito [Promise at that Time] and 6* Asuna [Joyful Wedding] under Burst DPS Ranking and Overall Rankings. - Added new reference videos for the New Ranking Event! - Added Fallen Fairies in the Netherworld weapons ~ stats and info. - Added Fallen Fairies in the Netherworld units under Burst DPS Ranking and Overall Rankings. Recommendation: Leafa > Lisbeth > Makoto (good for floor clearing though). - Added 6* Kirito [The Will - Transcending the System] under Burst DPS Ranking and Overall Rankings. - Added Through the Sunlight weapons ~ stats and info. - Added 5* Silica [Halloween Magic] under Burst DPS Ranking and Overall Rankings. - Added 6* Silica [Halloween Magic] under Burst DPS Ranking and Overall Rankings. - Added Through the Sunlight characters under Burst DPS Ranking (Check Element) and Overall Rankings. - Added 6* Silica [Ingenuous Guardian] under Burst DPS Ranking and Overall Rankings. - Updated Names and Portrait Icons of Yoshitsugu and Nobunaga to Kirito and Eugeo (free characters). - Added more R5 weapons ~ stats and info (Credits to Nashi). - Added new Beauty's Nightmare weapons ~ stats and info. - Added new Beauty's Nightmare characters under Burst DPS Ranking and Overall Rankings. - Added 6* Asuna [The Will - Changing the Fate] under Burst DPS Ranking and Overall Rankings. - Added more R5 weapons ~ stats and info (Credits to Reign). - Added new farmable Dark Element Armor and Accessory ~ stats and info. - Added 5* Thokk ticket scout under Burst DPS Ranking and Overall Rankings. - Added 6* Thokk ticket scout under Burst DPS Ranking and Overall Rankings. - Added The World You Can Fly ~ New Bond weapons ~ stats and info. - Added 4* Asuna [Made With Love] free unit under Burst DPS Ranking and Overall Rankings. - Added 5* Asuna [Made With Love] free unit under Burst DPS Ranking and Overall Rankings. - Added 6* Makoto [Under Justice] ticket scout under Burst DPS Ranking and Overall Rankings. - Added new Gales & Arrows Transcending Time weapons ~ stats and info. - Added 5* Makoto [Under Justice] ticket scout under Burst DPS Ranking and Overall Rankings. - Added new Gales & Arrows Transcending Time characters under Burst DPS Ranking (Check Element) and Overall Rankings. - Added free 6* units under Burst DPS Ranking and Overall Rankings. - Added Crossover World - Timeless Bond banner scout under Burst DPS Ranking (Check Element) and Overall Rankings. - Note: 6* Characters and the new tier lists will follow "in-game" time for SS3 durations, not real time. To simplify, Acceleration Skills = 3 Seconds Animation in real time is equal to 1 second "in-game" time. Dual Blade wielders can also reduce their skill duration with Combos, and using combination attacks can significantly lower skill durations. - Sub Leader Skills can be unlocked, once you max limit break your 6* (not all 6* though, check their Skill Slots for more info). - Added new Crossover World - Timeless Bond weapons banner ~ stats and info. - Added more R4 weapons ~ stats and info (Credits to Sal). - Added more R5 weapons ~ stats and info (Credits to TK Hackysack). - Added 5* Yui [The Oracle Prophet] under Burst DPS Ranking and Overall Rankings. - Added 5* Sinon [Knight Princess] under Burst DPS Ranking and Overall Rankings. - Added Heroes in Another World Mash Up Scout under Rank SS+ Burst DPS and Rank SS+ Overall Rankings. Recommendation: Asuna for Rankings Events and Silica for Floor Clearing. - Added 4* Sinon [Knight Princess] under Burst DPS Ranking and Overall Rankings. - Added new farmable weapons (Sword and Lance Neutral Element). - Added Milla [Great Spirit] under Burst DPS Ranking and Overall Rankings. - Added Sorey [Pure-Minded Master] under Burst DPS Ranking and Overall Rankings. - Added new farmable Armor and Accessory ~ Stats and Info (Credits to Leon Desmond). - Added Leafa and Sinon under Burst DPS Ranking and Overall Rankings. - Added Yuuki under Burst DPS Ranking and Overall Rankings. - Added new armor, accessory, and weapons ~ stats and info. - Added Ticket Scout 4* Yui [The Oracle Prophet] under Burst DPS Ranking and Overall Rankings. - Added 5* Silica [Foxy Priestess] under Burst DPS Ranking and Overall Rankings. - Added new Gods' Toughest Fight with Ragnarok weapons ~ stats and info. - Medal Scout 5* Suguha [Caught My Eye] under Burst DPS Ranking and Overall Rankings. - NOTE: DPS Ranking (SS+) Tier Lists are now divided by Element, to easier find specific characters. - Kirito added under Burst DPS Ranking and Overall Rankings. - Asuna added under Burst DPS Ranking and Overall Rankings. - Alice added under Burst DPS Ranking and Overall Rankings. - Eugeo added under Burst DPS Ranking and Overall Rankings. - Added new weapons ~ stats and info (Credits to Astrobia). - Added new farmable Armor and Accessory ~ Stats and Info. - Added Progressive Manga Link Scout under Burst DPS Ranking and Overall Rankings. - Guaranteed 5* Scout characters: These are existing characters, check tier lists for ratings. - Leafa added under Burst DPS Ranking and Overall Rankings. - Sinon, Rain, and Seven under Burst DPS Ranking and Overall Rankings. - Added new weapons info (credits to C Miku). - Added Eugeo under Burst DPS Ranking and Overall Rankings. - Added Alice under Burst DPS Ranking and Overall Rankings. - Added Feel the Breeze ~ Welcome Summer Weapons ~ Stats and Info. - Added new Earth Element Mace weapon. - Added 5* Sphica under Burst DPS Ranking and Overall Rankings. - Added Medal Scout 4* Suguha [Caught My Eye] under Burst DPS Ranking and Overall Rankings. - Added Devoted Master Swordsmen weapons Scout ~ Stats and Info. - Silica, and Lisbeth added under Burst DPS Ranking and Overall Rankings. - Yuuki added under Burst DPS Ranking and Overall Rankings. - Recommendation: Yuuki is the best one to get here. - Added Medal Scout 5* Alice [A Lone Flower] under Burst DPS Ranking and Overall Rankings. - Added new farmable armor ~ stats and info (Credits to Sokaris). - Divided 5* Rank SS Burst DPS ranking page to multiple pages (by Element). - Added 5* Yuuki [Genius Creator] under Burst DPS Ranking and Overall Rankings. - Rank changes due to Power Creep. - Added new Fellow Soldiers in the Wilderness weapons ~ stats and info. - Added new Fellow Soldiers in the Wilderness Scout under Burst DPS Ranking and Overall Rankings. These are ranking+support units, recommendation: Scout if you need Def Debuffers. - Added new farmable Neutral element Armors and Accessory ~ stats and info. - Added "So Psyched, Costume Change" characters under Burst DPS Ranking and Overall Rankings. These are ranking+support units, recommendation: only scout if you need them. - Added more R5 weapons ~ stats and info (Credits to Blade). - Added Medal Scout 4* Alice [A Lone Flower] under Burst DPS Ranking and Overall Rankings. - Added So Psyched, Costume Change weapons ~ stats and info. - Added new farmable armor and accessory. - Added Passionate Bloom characters under Burst DPS Ranking and Overall Rankings. Recommendation: Suguha > Asuna/Lisbeth > Rain. This banner is excellent especially if you don't have strong Fire element units for all-around use. - Added new Overall Ranking Tier Rank: SS+, also added some previous units! - Added new farmable fire element armor and accessory stats and info, including R5 Yuuki Armor (Credits to funky). - Added more R5 weapons ~ stats and info (Credits to Mad Paradox). - Added Asuna and Kirito SAO Game 5th Anniversary #3 banner scout under Burst DPS Ranking and Overall Rankings. - Recommendation: Only for Waifu purposes (Asuna > Kirito), but overall I won't recommend scouting... sorry. - Added 5* Yuuki [Sunny Summer Girl] under Burst DPS Ranking and Overall Rankings. - Added Medal Scout 5* Fukaziroh [Little Gunner] under Burst DPS Ranking and Overall Rankings. - Added 5* Rechka [Queen of Chef] under Burst DPS Ranking and Overall Rankings. - Added A Rest Day for Gunners weapons scout ~ stats and info. - Fukaziroh under Burst DPS Ranking and Overall Rankings. - Added new Water Element farmable armor and accessory. - Added more weapons stats and info (Credits to C Miku). - Added new Hand in Hand - Children's Day weapons ~ stats and info. - Added new Wind Element farmable armor and accessory. - Added Kirito and Leafa under Burst DPS Ranking and Overall Rankings. - Added more R5 weapons ~ stats and info (Credits to Silentjon69). - Added Master Swordsmen in the Battlefield weapons ~ stats and info. - Added New SAO Game 5th Anniversary banner scout (Rain, and Premiere) under Burst DPS Ranking and Overall Rankings. - Added New SAO Game 5th Anniversary (Seven) under Burst DPS Ranking and Overall Rankings. - Recommendation: Seven > Rain > Premiere. We will give this banner to Seven because of her high raw damage and range, with Neutral element (has weight for overall ratings). - Added new farmable Armor and Accessory from a limited event. - Added Rainbow Sky Scout banner and characters under Burst DPS Ranking and Overall Rankings. Recommendation: Leafa > Rain > Seven/Sinon. - Updated Leafa [Summer Night Shout] = No change in ranks only added skill slots and 5* version. - Added Guild War event 5* Armor stats and info. - Added Ticket Scout 5* Premier [Shamisen Rock] under Burst DPS Ranking and Overall Rankings. - Added new Rainbow Sky weapons ~ R4 and R5 stats and info (Credits to Mad Paradox). - Added Version 2 LLENN and Pitohui under Burst DPS Ranking and Overall Rankings. This version is designed primarily for ranking events. - Added Ticket Scout 4* Premier [Shamisen Rock] under Burst DPS Ranking and Overall Rankings. - Added 5* Kirito [Skill Connect] under Burst DPS Ranking and Overall Rankings. Note that this an old character, has very high base damage output but with very slow SS3, that's why he ended at Rank B in terms of DPS. - Added more farmable armors and accessories from events. - Added Sima [Pole and Line Fishing] under Burst DPS Ranking and Overall Rankings. The main reason why this character's ratings are too low, is because she is a revival or an old character from the Japanese version of the game. - Added Fairy Magic banner scout characters under Burst DPS Ranking and Overall Rankings. - Added new Fairy Magic weapons ~ stats and info. - Added SAO Game 5th Anniversary Scout: Strea and Philia under Burst DPS Ranking and Overall Rankings. Honestly guys, I won't recommend these 2 units, better wait for the next banners. SS3s are too long, and kinda risky to use without parrying or using combination attacks. - Added new sword, Phantom Rosario stats and info. - Added Waals [Cool Screw] under Burst DPS Ranking and Overall Rankings. - Added Sinon [Charming Rider] under Burst DPS Ranking and Overall Rankings. - Added new farmable Neutral Element armor and acc ~ stats and info. - Added Medal Scout 5* Yuuki [Tied Together] under Burst DPS Ranking and Overall Rankings. - Added Furry Morphin' Time characters under Burst DPS Ranking and Overall Rankings. - Added Furry Morphin' Time R4 weapons stats and info. - Added New GGO Characters LLENN and Pitohui under Burst DPS Ranking and Overall Rankings. - Added new SS+ Tier under 5* Burst DPS Rankings! Please note that Neutral, Holy, and Dark will get a bit more weight because of their elemental advantage vs all element. - Added Medal Scout 4* Yuuki [Tied Together] under Burst DPS Ranking and Overall Rankings. - Added new Rifle weapons stats and info (Credits to Sokaris). - Added The Vernal Memory of Uniform banner scout under Burst DPS Ranking and Overall Rankings. - Added New Dark Element 5* OS characters (Reawakened Memories) under Burst DPS Ranking and Overall Rankings. Recommendation: Yuna > Eiji > Asuna > Kirito. - Silica ~ Rank increased from A > AA (DPS Ranking). - Premier ~ Rank increased from A > SS (DPS Ranking) and B > S (Overall Ranking). They doubled her hits and damage, with additional DMG+ from skills slots! - Argo ~ Rank increased from B > AA (DPS Ranking) and B > AA (Overall Ranking). - Added new Vernal Memory of Uniform weapons ~ stats and info. - Added new farmable Fire Element Armor and Acc ~ stats and info. - Added Hina Matsuri +1 Weapons ~ stats and info. - Added new Dark Element weapons ~ stats and info (Credits to Diabolic Esper). - Updated Premiere [Kagura Dance] = No change in ranks. - Updated Yuuki [Gemini] = No change in ranks. - Updated Alice [Integrity Knight] = rank increased to Burst DPS Ranking and Overall Rankings. - Updated Sakuya [Indoor Gamer] = rank increased to Burst DPS Ranking and Overall Rankings. - Added new farmable free armors and accessory ~ stats and info. - Added Medal Scout Philia [Spirited Chocolatier] under Burst DPS Ranking and Overall Rankings. - Added Upgrade Scout weapons ~ stats and info. - Added free character Yuna [Sweet Idol Singer] under Burst DPS Ranking and Overall Rankings. - Added free character Kureha under Burst DPS Ranking and Overall Rankings. - Added Fatal Bullet weapons banner scout ~ stats and info. - Added new farmable armor and acc, stats and info. - Added Sweet Sweet honey weapons ~ stats and info. - Added new Dream Circus banner and characters under Burst DPS Ranking and Overall Rankings. - Added Dream Circus weapons - stats and info. - Added new farmable holy element armor and acc from events. - Added new Sweet Chocolatiere characters under Burst DPS Ranking and Overall Rankings. Reco = Silica or Lisbeth. - Added Sweet Chocolatiere weapons info and stats. - Added new farmable water element armor and accessory. - Added new GGO Arc Leaning on You banner scout under Burst DPS Ranking and Overall Rankings. - These 2 new units can also recover MP of their combination partners, excellent for ranking events! - Added 4* Sinon [Korean Dress in Breeze] under Burst DPS Ranking and Overall Rankings. - Added 5* Sinon [Korean Dress in Breeze] under Burst DPS Ranking and Overall Rankings. - Added new Armor reward from the new Guild Event. - Added new farmable armor for the upcoming BoB event. - Added First Priestess Experience banner scout under Burst DPS Ranking and Overall Rankings. These are support units with nice DPS ratings. Recommendation = Asuna > Suguha/Yui > Sinon. - Added First Priestess Experience weapons ~ stats and info. - First Priestess Experience banner scout under review. Burst Damagers Tier List Major Update! - Characters That Ranked Down Due to Power Creep, from Rank SS > Rank S.
- Please note that these units are still very strong, especially against proper elements. - Added 4* Lisbeth [Bringer of Spring] under Burst DPS Ranking and Overall Rankings. - Added 5* Lisbeth [Bringer of Spring] under Burst DPS Ranking and Overall Rankings. - Added new farmable Earth Element Armor and Accessory. - Added new First Play banner (wind characters) under Burst DPS Ranking and Overall Rankings. Would highly recommend Yuuki and Silica this time. - Global Ticket Scout characters under review, might take a while though for their 5* versions. - Added First Play weapons banner. - Added new farmable wind element armors and accessory. - Added 4* Silica [Girl in Chinese Dress] under Burst DPS Ranking and Overall Rankings. - Added 4* Kirito [Haiku Composer] under Burst DPS Ranking and Overall Rankings. - Added 4* Asuna [Stars and Stripes] under Burst DPS Ranking and Overall Rankings. - Added 4* Leafa [Splash in Dirndl] under Burst DPS Ranking and Overall Rankings. - Note: Survivability ratings increases once they reach 5*. - Added 5* Silica [Girl in Chinese Dress] under Burst DPS Ranking and Overall Rankings. - Added 5* Kirito [Haiku Composer] under Burst DPS Ranking and Overall Rankings. - Added 5* Asuna [Stars and Stripes] under Burst DPS Ranking and Overall Rankings. - Added 5* Leafa [Splash in Dirndl] under Burst DPS Ranking and Overall Rankings. - Added more R5 weapons stats and info (Credits to kyo312). - New Year characters and banner under review. - Added New Year weapons banner, stats and info. - Added new free earth element unit Asuna [Constant Love] under: 5* Rank S Burst DPS (Ranking Events); 5* Rank AA (Overall). - Added new Shield Blade characters: Kirito and Heathcliff under: 5* Rank SS Burst DPS (Ranking Events); 5* Rank SS (Overall). - Added new Swords (Insane Ruler and Elucidator Rouge) stats and info. - Added new Lance weapon, available from the Market. - Added Starry Night Fairy Santa Scout weapons. - Added new free unit Sachi [Happy Memories] under Rank A Burst DPS and Rank AA Overall. - Added new farmable water element armor and acc. - Added My Heart's Snowfall Scout banner: Kirito and Sachi under 5* Rank SS Burst DPS (Ranking Events); 5* Rank SS (Overall). - Added My Heart's Snowfall Weapon Scout banner. - Added more R5 weapons stats and info (Credits to STO Buddy). - Added more R5 weapons stats and info (Credits to Pacharapol). - Added weapons available from the Exchange Shop/Market. - Added White Christmas - Footsteps in the Snow weapons stats and info. - Added more R5 weapons stats and info (Credits to David Wang). - Added new farmable armor and acc: Holy Night Choker and Cape. - Upcoming White Christmas - Footsteps in the Snow Step-Up Scout under review. - Other Mace characters = No change in ranks. - Added stats and info for 5* Strea (Medal Scout) (Credits to Diabolic Esper). - Added Green Breeze Lantern (mace weapon). - Added new +1 Mace weapons. - Added SAO Complete Memorial ★5 Upgrade Vote Scout characters = No change in ranks. - Added SAO Complete Memorial ★5 Upgrade Vote Weapons Scout (+1 Weapons stats and info). - Added new farmable armor (Heart Relic). - Added more R5 weapons stats and info (Credits to Ray). - Added more R5 weapons stats and info (Credits to AceTemper). - SAO Complete Memorial ★5 Upgrade Vote Scout under review. - Added Crimson Trump Card weapons banner. - 5* Strea Medal Scout "Hot Spring" character under same tier lists above. - Crimson Trump Card under review. - Added new Fire Element farmable armor and accessory. - Added more R5 weapons stats and info (Credits to Diabolic Esper). - Updated 4* Asuna [Captive Princess] (From Rank CD Burst > Rank AA; From Rank CD Overall > Rank A), 5* Asuna [Captive Princess] added under Rank AA Burst and Rank A Overall. - Added "The Two - Bonded By Phantom Bullets" Kirito and Sinon under: 5* Rank SS Burst DPS (Ranking Events); 5* Rank SS (Overall). - Added new farmable accessory: Hades Hair Barrette. - Added "The Two - Bonded By Phantom Bullets" weapons banner stats and info. - Added Steamy Beauty Bath Time weapons banner. - Added new guild event Armor for Silica - R4 and R5 (Credits to AceTemper). - 5* Kirito and Asuna under: 5* Rank SS Burst DPS (Ranking Events); 5* Rank SS (Overall). - Sports Festival banner under review. - Added Sports Festival weapons banner stats and info. - Added all Happy Halloween characters under: 5* Rank SS Burst DPS (Ranking Events); 5* Rank SS (Overall). - Added Happy Halloween Night R5 weapons stats and info (Credits to Arkanius). - Added new 5* Upgrade Vote Scout (Kirito, Asuna, Rain, and Alice). Updated Skill Slots (No Change in Ranks). - Added Lisbeth [Pumpkin Knight] (Medal Scout) = 5* Rank SS Burst DPS (Ranking Events); 5* Rank AA (Overall). - Leafa [Rejoicing Witch] under review. - Added new Happy Halloween Night weapons banner. - New Happy Halloween Night banner under review. - Added a new FAQ guide for 5 Star characters, intended for newbie players. - Kirito [Resurgent Sword] = No Change in Ranks. - Kirito [Tropical Beach Boy] = 5* Rank SS Burst DPS (Ranking Events); 5* Rank AA (Overall). - Added more R5 weapons stats and info (Credits to Ray and Joseph Moreno). - Silica Birthday Banner Updates: Kindly refer to the in-game notice for the complete list of enhancements. - 4* Silica [Augmented Tamer] = No Change in Ranks (Enhancements are too thin). - Silica [Flower Peach Baby] = No Change in Ranks (Ranking Events); and B > A (Overall). - Silica [Dragon Caster] = Rank increased from AA > S (Ranking Events); and No Change (Overall). - Silica [Young Idol] = Rank increased from A > AA (Ranking Events); and B > A (Overall). - Silica [My Little Lover] = No Change in Ranks. - Silica [Blessed Breath] = No Change in Ranks. - Silica [Attention Please] = No Change in Ranks. - Silica [Starlight Prayer] = No Change in Ranks. - Silica [Sunflower Girl] = No Change in Ranks. - Added weapon stats that are available from the Market. - Lisbeth Medal Scout is still under review. - Added all Moonlight Halloween characters under: 5* Rank SS Burst DPS (Ranking Events); 5* Rank SS (Overall). - Recommendation: Asuna > Kirito > Alice or Eugeo. - Added all Moonlight Halloween weapons, armors and accessories. - Added all 5* Start Dash characters. - Note: All upgradable 4* characters didn't change their ranks, but possible if Limit Broken. - Sorry for the delay guys, we had some connection problems with BAMCO's game update service. - Added new Sword and Mace for Klein and Agil. - Added new Dark element Armor and Accessory. - Asuna [Cheer of Love] = Rank increased from B > AA (Ranking Events); and B > A (Overall). - Asuna [Hit Idol of Love and Effort] = Rank increased from AA > S (Ranking Events); and A > AA (Overall). - 4* Asuna [Lightning Dance] = No change in ranks. - Asuna [Kitchen Maid] = No change in ranks. - Asuna [Libra] = Rank increased from S > SS (Ranking Events); and AA > S (Overall). - Asuna [Promise at that Time] = No change in ranks. - Asuna [Heart Flash] = No change in ranks. - Asuna [Time of Injection] = No change in ranks. - Asuna [Tropical Lover] = No change in ranks. - Asuna [Yukata] = No change in ranks. - Asuna [Healing Beauty] = No change in ranks. Moonlight Halloween Parade under review! - Will start the review once we are done with all upgradable 4*. - Blu-ray & DVD Release Memorial! OS version of "Agil" & "Klein" under review. - Added new Ticket Scout Heathcliff [Holy Sword] under Holy Element Characters List. - 4* Heathcliff added under Rank SS Burst DPS (Ranking Events) and Rank S Overall List. - 5* Heathcliff under review. - Added more R5 weapons stats and info (Credits to Steven Kueck). Ranged Units New Parry Perks NEW! - We can now be able to parry parriable attacks while charging (Guns and Rods) or dodging (Bows) enemy attacks. - Hand Grenade (Gun Character): As you flick the screen while charging attacks, you get to lob a grenade and parry an enemy's attack. - Just Dodge (Bow Character): With a bow character, as you take steps back and dodge an enemy's parry attack, you get to shoot down an enemy's attack. - Reflector (Rod Character): With a rod character, while charging attacks, a barrier activates. It goes off as you let your finger go and allows you to parry an enemy's attack. Also, you get to parry while charging attacks by flicking the screen! - Focus Attacks won’t activate by flicking while charging attacks. - Added new Alicization v3 weapons banner, as well as the new farmable events only weapons. - Added new Alicization v3 banner under character stats and info. - Compared to the 1st Anniversary Banner, these units have above average HP and DEF (survivability ratings), but lower DPS ratings, unless used against their counter elements. - Updated with new Skill Slots: Refer to the Notice section in-game for more info. - Added new 5* free character Kirito [365 Days] under Neutral Characters Stats and Info. - Added new 5* Overall and Burst DPS (Ranking Events) rankings list. 5* characters will be separated from 4* units to make them easier to find and compare. - Note: In general a Rank SS 5* unit it still better or has more edge than a Rank SS 4* unit because of the added features like Leader Skills and Combination Attacks that can help boost 4* characters. - Please note that these lists are still a work in progress and will never be 100% accurate. - Added new anniversary weapons banner. - Added new 5* characters under characters info. Rankings will be added soon. - In preparation for the upcoming 5* characters, we needed to rank down all individual DPS ratings from SS+ > SS; and SS > S+. - Suggested by: "Popular demand"